Poroelastic materials are ubiquitous in nature as well as engineering. For example, one can look at otolith structure inside human ear, which is part of our vestibular apparatus. 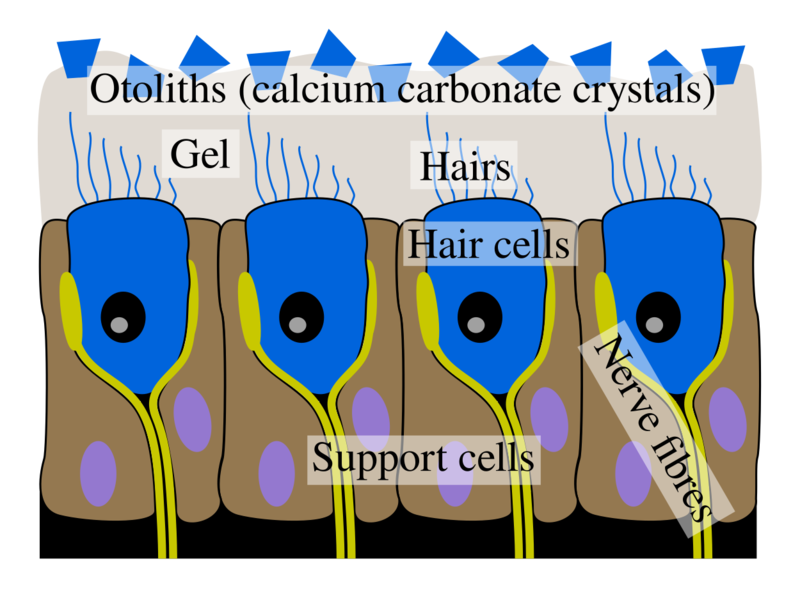 Otoliths (calcium carbonate crystals) are located on top of a gel membrane, in which hairy sensory structure is located (see illustration to the right). Motion of otoliths is sensed by the hairy structure and signals are transmitted through nerve fibres to our brain, which then in turn understand if we are falling to the side. The region between hair cells and otoliths is an example of complicated poroeasltic medium, which is also exhibiting layered structure - interior of the medium is built up using different structure compared to the upper interface. In this project, we are interested in understanding how such complex poroelastic materials interact with a moving fluid. The main challenge here is describing or manufacturing these fine grained features of poroelastic materials. Experiments are very complicated due to manufacturing requirements and full numerical description is prohibitively expensive. We are, however, not interested in detailed behaviour of these materials, but rather in large scale effective behaviour and influence on large scale fluid motion. 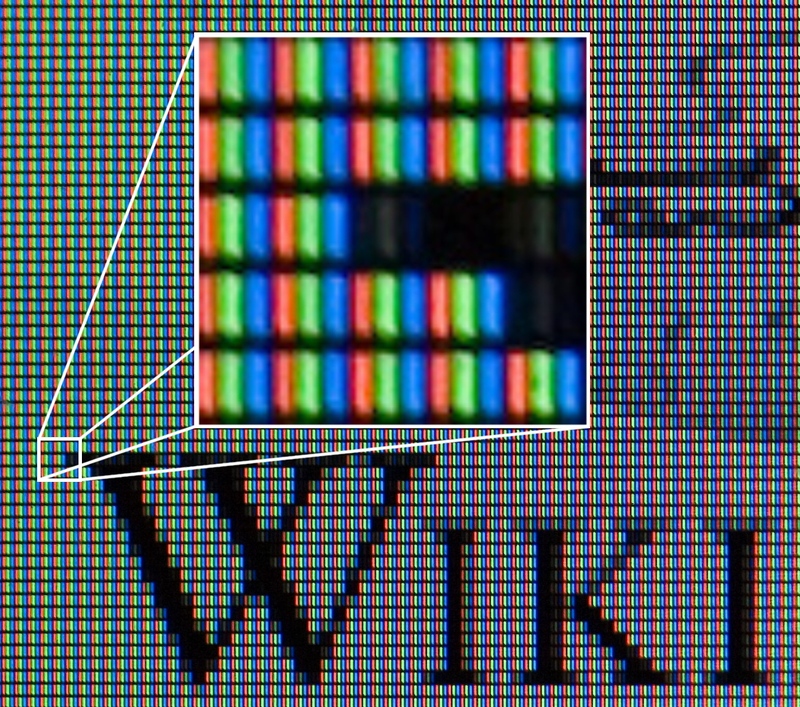 This is similar as using computer or TV screen, where all we care is only the generated picture, neglecting the fine-scale details of pixels and colour generation (illustration to the left, photo by Ravedave, Wikipedia commons). Therefore we make use of multi-scale expansion and homogenization technique, through which the problem is simplified by smoothing the fine grained small-scale features within the material, leaving only the effective large scale behaviour. Another very challenging task is to couple the smoothed region with the surrounding free fluid region, which has been a topic for scientific debate for the last hundred years. In our work, we use multi-scale expansion as well as physical reasoning to shed light on what boundary conditions should be imposed at the interface between these regions.